On vacation aboard a luxury cruise ship, Alvin, Simon, Theodore and the chipettes are up to their usual antics, turning the ship into their personal playground, until they become 'chipwrecked' on a desert island. 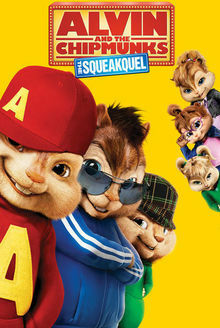 David Seville and the chipmunks Alvin, Simon and Theodore, return in the sequel to lay waste to Seville's surroundings and sing in three-part harmony. An advertising executive who longs to be a composer is befriended by three talking/singing chipmunks.